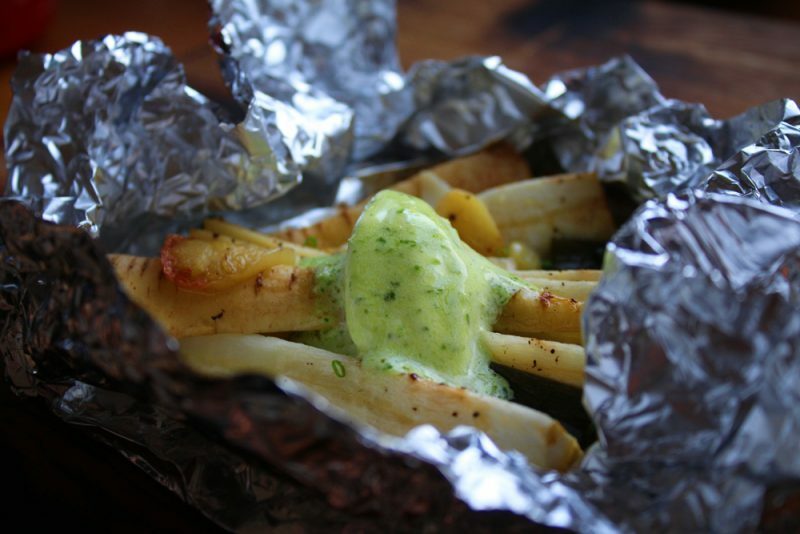 Try these parsnips in foil with garlic and herb butter. It’s the perfect side for anything grilled or why not as a base for a great vegetarian dish. 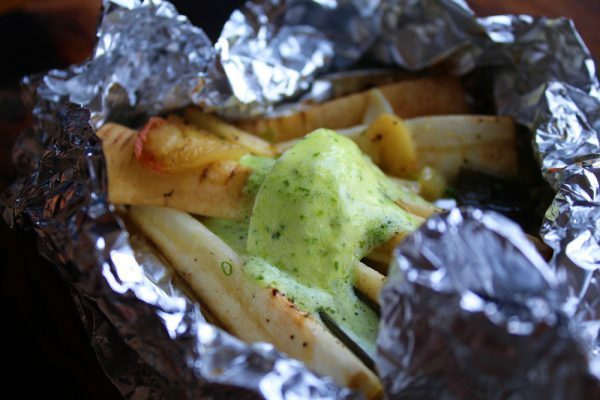 This parsnips in foil recipe is a great snack or a perfect side to meat or fish. I use small parsnips and keep the skin on. Just make sure you clean them so there´s no dirt left. Cut them and season with salt, pepper and garlic. 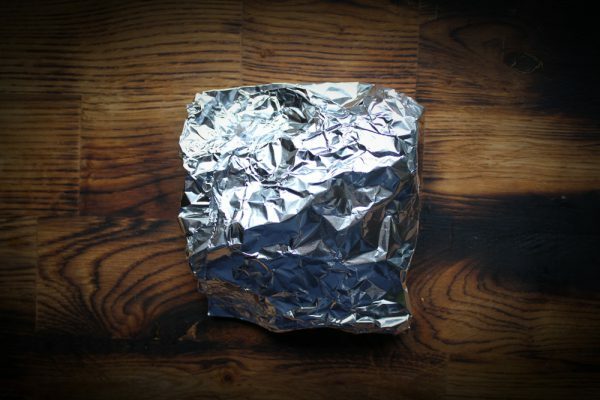 I then wrap everything in tin foil and bake it in the oven. This is also great to cook on a grill and serve as an individual side to grilled meat. The herb butter is just that, butter and herbs and some olive oil mixed together. Wash and cut the parsnips in smaller pieces, dress with olive oil, salt, pepper, slice garlic and add a bay leaf. 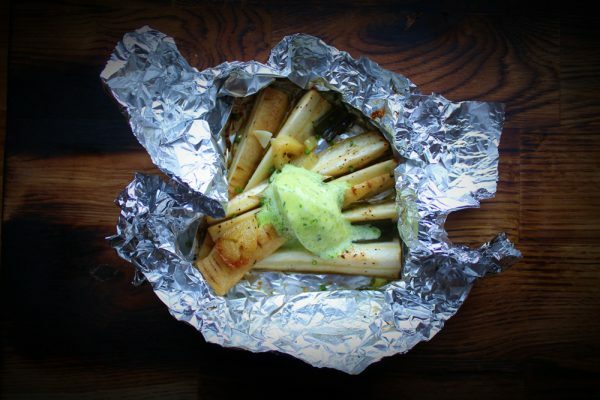 Wrap the parsnips in tin foil and bake in the oven on medium heat until done. You can also cook them on a grill. To check when it’s done you can carefully open up the package and feel if the parsnips are soft with a knife. For me the cooking time was about half an hour. Mix the butter with the herbs and some olive oil. Once the parsnips are done remove from the oven and open the package, add a spoonful of herb butter and serve. For a more detailed instruction on how to make flavored butter you can check out this full guide on flavored butter here.